Music therapy is the use of interventions to accomplish individual goals. 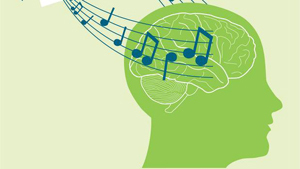 Music therapists use music to help people with mental and physical skills. Music therapy helps people’s health in many different ways such as cognitive functions, motor skills, social skills and quality of life by using music experiences such as improvisation, singing and listening to music and moving to music to achieve goals. 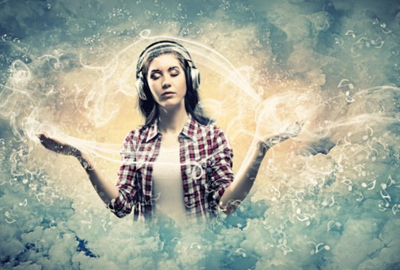 Music therapy comes in two different forms: active and receptive. In active therapy you create music with instruments your voice or objects. This allows to person to be expressive and creative instead of them keeping emotions in. Receptive therapy means the therapist plays the music allowing the person to relax, draw or meditate. People who have very stressful lives would find this very helpful.Music is often linked to mood, and songs can depict the way we feel. Autism is a brain disorder that is associated with a wide range of developmental problems, especially in communication and social interaction. According to the American PsychiatricAssociation, autism is classified as a type of autism spectrum disorder (ASD). These disorders are characterized by problems with communication, social interaction, as well as unusual, repetitive behaviors. Some professionals use a broader term, called pervasive development disorder (PDD), to describe autism. In addition to autism, there are four other disorders that qualify as PDDs: Asperger's syndrome, childhood disintegrative disorder, pervasive developmental disorder-not otherwise specified (PDD-NOS), and Rett syndrome. People who have autism spectrum disorders often show a heightened interest and response to music. This may aid in the teaching of verbal and nonverbal communication skills and in establishing normal developmental processes. Depression or depressive disorder is an illness that involves the body, mood, and thoughts. Depression is considered a mood disorder. Depression affects the way a person eats and sleeps, the way one feels about oneself, and the way one thinks about life situations. Unlike normal emotional experiences of sadness, loss, or passing mood states, depressive disorders are persistent and can significantly interfere with an individual's thoughts, behavior, mood, activity, and physical health.There is evidence that music therapy may increase responsiveness to antidepressant medications. In elderly adults with depression, a home-based program of music therapy may have long-lasting effects. In depressed adult women, music therapy may lead to reductions in heart rate, respiratory rate, blood pressure, and depressed mood. Music therapy may also be beneficial in depression following total knee replacement surgery or in patients undergoing hemodialysis.